What kind of licence do I need to ride a scooter? What can you ride on your licence? Driving licences are fairly simple for car drivers – either you’ve passed your driving test and can drive a car, or you’re a provisional licence holder and you can’t. But the world of scooters and motorcycles is a little bit different. Age, pass dates and various licence categories to muddy the waters. Don’t worry through - we’ll talk you through what you can and can’t ride. What kind of entitlement do you have? A glance at the back of your licence photocard will reveal what kind of motorcycle/moped entitlements you have, if any. If you have a full car licence you should have category AM entitlement, which permits you to ride a two-wheeled vehicle with a maximum design speed of no more than 28mph. Category P is similar, but permits riding on a two-wheeled vehicle with a maximum design speed of 31mph. No L plates are required if you have a full car licence – but you may have to complete a CBT. If you passed your car driving test before 1 February 2011 then there is no need to undertake Compulsory Basic Training (CBT) before you ride, though it is recommended. If you passed your test after that date you must complete the CBT before the AM part of your licence is validated. The validation then lasts for the lifetime of the licence. If you only have a provisional driving licence then a CBT will only validate the AM category for two years, over which time L plates must be displayed when riding. If you have provisional category A1 entitlement you can ride a motorcycle of up to 125cc with a power output of no more than 11kW (around 15PS). This is only valid for two years from the date of completing a CBT course. It permits you to ride unaccompanied with L plates. When riding an A1 category machine with provisional motorcycle entitlement you must display L plates, even if you have a full car licence. ﻿What if I want a bigger bike, to carry passengers or to lose my L plates? ﻿In order to ride without L plates and to carry pillion passengers you must gain a full motorcycle licence. This means completing the theory test, followed by both the module one and module two practical tests. The machine on which you undertake the test dictates the type of full motorcycle licence you gain. There are three full licence categories. A1 permits use of a motorcycle with capacity up to 125cc and a power output no higher than 11kW (15PS). 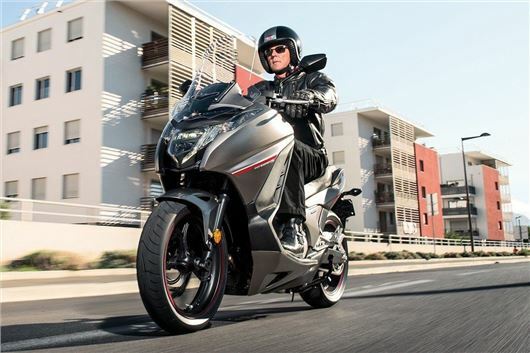 The A2 category is available to people of age 19 and over and permits use of a motorcycle with a power output not exceeding 35kW (around 47PS). Category A is available to people aged 24 years and over, or those aged 21 and over if they have held an A2 licence for two years or more. This is the full, unrestricted motorcycle licence that permits riding on any motorcycle. As with car licences, passing on an automatic motorcycle restricts the rider to automatics whether A1, A2 and A. If you have a full car licence (category B) then you are entitled to ride motor tricycles with a power output of greater than 15kW if you are over the age of 21. That opens up quite a wide range of options for motorists who want the benefits of low running costs and traffic busting capability without undergoing training or taking a test. There is a wide variety of three-wheeled scooters on sale – but check your licence and check with the manufacturer before buying, just in case. Hi if i wanted to just ride a 150cc scooter and not a motorbike is there a test just for this?